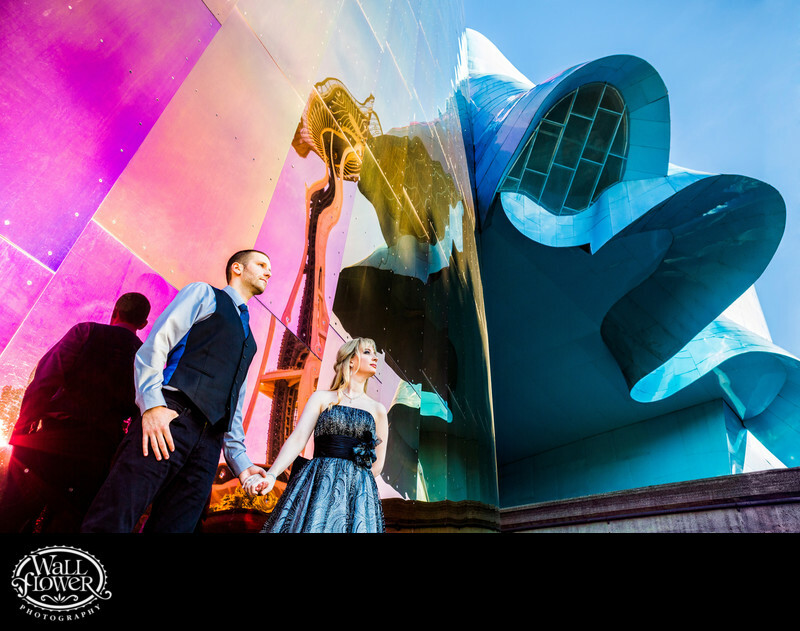 I photographed this engagement portrait of my clients holding hands and standing next to the colorful purple metal wall of the Experience Music Project (EMP) in Seattle, Washington. They are both looking toward the Space Needle, which is off-camera, but its reflection can be seen on the wall of the EMP between them. The downtown Seattle monorail passes through the EMP building under the blue section on the elevated tracks that can be seen in the bottom-right corner.